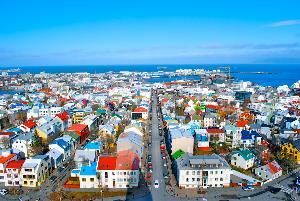 Prize: Round-trip for 2 from North America (US or Canada); (3) nights accommodations for two (2) in Reykjavik, Iceland at Hotel Nordica; Scandinavian buffet breakfast daily; ground transportation; (2) 72 “Hours Reykjavík Welcome Cards” ($3,500). Statistics: This contest was opened by 257 and entered by 41 ContestChest.com members. 16% of those who opened the contest, entered it.